Cape Town - Retired Gauteng Judge President Bernard Ngoepe was appointed by Finance Minister Pravin Gordhan as South Africa's first tax ombud. But how will the tax ombud benefit taxpayers? The tax ombud serves to protect taxpayer’s rights and operates as a counter balance to the far reaching powers which the 2012 Tax Administration Act entrusted to Sars. The tax ombud runs concurrently with other self-imposed checks by SARS, such as the taxpayer’s right to request SARS to internally review a decision and other internal complaints resolution mechanisms. 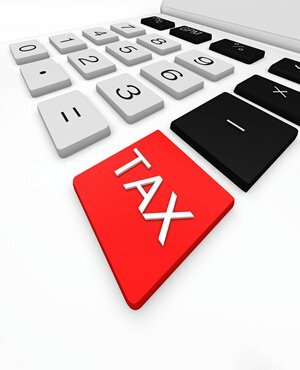 Once all the other avenues of resolution have been explored by an aggrieved taxpayer, the Tax ombuds provides a cost effective, final review on any operational complaints a taxpayer may have against SARS, without necessarily having to resort to litigation which can be prohibitively expensive in both time and cost. Who is the tax ombud? On behalf of the National Treasury, Gordhan appointed Ngoepe to the office of tax ombud to provide an objective overview on Sars’ procedures. Only the minister of finance has the authority to remove the tax ombud in the case of misconduct, incapacity or incompetence. Ngoepe was the first black judge to be accepted onto the Pretoria Bar in 1995. He also contributed to drafting the constitution and served on the Truth Commission's amnesty committee. How is the tax ombud’s office established? Although independent in its frame of reference, the tax ombud’s office is not a completely separate entity from SARS. The secondment of Sars employees to the tax ombud’s office is a practical matter, which ensures that the staff is knowledgeable about tax and Sars’s internal processes, while the sharing of Sars’ facilities and structures reduces the costs of establishing and running the office. What is the mandate of the tax ombud? The tax ombud’s mandate is to investigate any disagreements on the procedural administration of law, and to identify and review systemic and emerging issues related to service matters or the application of the provisions of the Tax Administration Act that impact negatively on the rights of taxpayers. This method of resolution is intended to be a simple and affordable remedy available to taxpayers who - after exploring other available avenues for resolution - still feel they have legitimate complaints that relate to administrative matters, poor service or the failure by Sars to observe taxpayer rights. The tax ombud is required to report the most important service delivery failures directly to Parliament every year, which serves as a strong incentive for Sars to handle all issues in a timely and efficient manner. What is the tax ombud unable to do? The tax ombud is not mandated to review legislation or tax policy. Where there is disagreement on the interpretation of law, the complainant would have to follow other steps to resolve their dispute; usually by lodging an appeal to the either the tax board or the tax court, with the option of escalating further appeals to higher courts of law if justified. The tax ombud may not review a matter subject to objection and appeal under a tax Act, or a matter that arose more than one year before the day on which the tax ombud was appointed, unless the minister specifically requests the tax ombud to do so. It is important to note that the tax ombud does not have any declaratory powers and his ruling is not binding on either Sars or the taxpayer. However this lack of determinative powers should be academic if Sars’ management actively engage with and monitor the ombud’s findings. * Do you have a pressing tax or financial question? Post it on our Money Clinic section and we will get an expert to answer your query.